Hewlett-Packard has launched the Compaq AirLife 100, a smartbook based on the Android OS and Qualcomm's Snapdragon processor, it said on Friday. 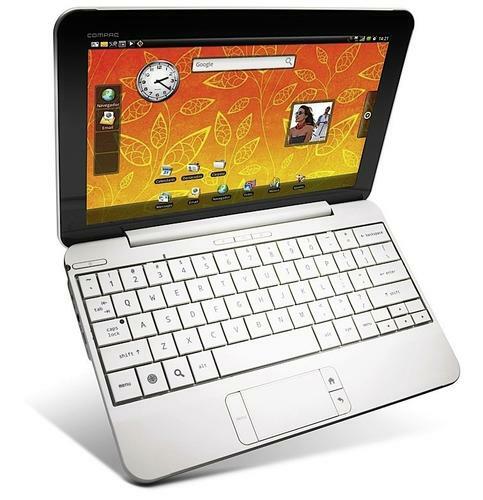 The AirLife 100, which was developed for accessing the Web, takes the best of a smartphone and puts it into a netbook design, said HP. The device turns on instantly, has up to 12 hours of battery life and up to 10 days of standby time. It comes with a customized touchscreen user interface, which features a new "tabbed" touch-enabled browser, a mechanism for zooming on Web pages and a touch optimized media suite, HP said. The extended battery life comes comes courtesy of Qualcomm's QSD8250 processor, according to HP. The Snapdragon processor is used by a growing number of smartphones, including the Android-based Acer Liquid, the Google Nexus One and the upcoming Sony Ericsson Xperia X10. Just like many Android-based smartphones, the AirLife 100 comes with support for GPS and Internet access using 3G and Wi-Fi. The design is standard netbook fare: the device has a 10.1-inch screen and a keyboard that is 92 percent the size of a regular one, HP said. Data is stored on a 16GB SSD (solid-state drive) or an SD card. The AirLife 100 will start shipping in Europe this spring, via a deal with operator Telefónica, which operates under the O2 brand in the U.K. and Germany. There is no information on pricing or availability in other countries yet. HP's smartbook is not the last Android-based device to debut this month. Additional smartphones, netbooks and other devices with the OS will be shown at next week's Mobile World Congress show in Barcelona.